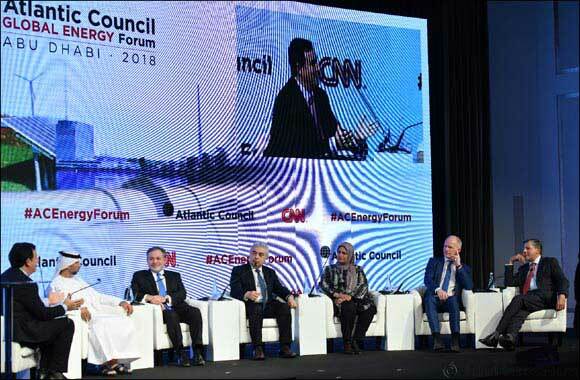 Abu Dhabi, UAE, September 04, 2018: The third annual Atlantic Council Global Energy Forum will be held in Abu Dhabi on January 12-13, 2019, again kicking off Abu Dhabi’s Sustainability Week. The two-day premier event gathers international and regional political, industry, and thought leaders to set the global energy agenda for the year and examine the longer-term geopolitical and geo-economic implications of the changing energy system. The conference agenda this year will focus on the future of oil, the digitization of energy, diversification in energy companies and countries, and will have a regional focus on East Asian energy demand and energy innovation. Last year’s event brought over 450 people to Abu Dhabi from around the world, including CEOs, Ministers, global media, and industry experts. The forum will once again be hosted under the patronage of His Highness Sheikh Mohammed Bin Zayed Al Nahyan, Crown Prince of Abu Dhabi and Deputy Supreme Commander of the United Arab Emirates Armed Forces. It will be convened in partnership with the Ministry of Energy of the United Arab Emirates, Abu Dhabi National Oil Company (ADNOC), and Mubadala Investment Company, and is part of Abu Dhabi Sustainability Week.